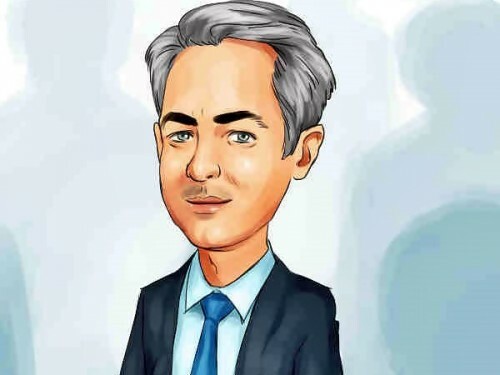 As an activist, Bill Ackman prefers to hold a concentrated equity portfolio that allows him to focus on his targets and work towards maximizing their shareholder value. Over the long-run, activists generate higher returns than their passive peers, which makes them the best investors to emulate. Last year, Ackman’s Pershing Square produced gains of around 40%, topping the list of the best-performing hedge funds. This year, the fund has been less successful, plunging by around 12% in the first ten months of the year on the back of its position in Valeant Pharmaceuticals Intl Inc (NYSE:VRX), which amasses a quarter of its equity portfolio, and whose stock has lost 50% since the beginning of the year. Another one of Ackman’s top picks, Canadian Pacific Railway Limited (USA) (NYSE:CP), has plunged by 28%. Overall, Pershing’s top five holdings amassed over 83% of the fund’s equity portfolio, which was valued at $13.95 billion at the end of September. Let’s take a closer look at these companies. As stated earlier, activist investors represent the best targets to emulate. However, it can still be risky and this approach does not allow enough portfolio diversity. Another way to invest that involves the smart money sentiment is to follow hedge funds and other institutional investors into their best collective small-cap ideas. Our strategy involves imitating a portfolio of the 15 most popular small-cap picks among over 700 investors. It has returned 102% since August 2012, beating the S&P 500 ETF (SPY) by more than 53 percentage points (read more details). Pershing Square’s stake in Valeant Pharmaceuticals Intl Inc (NYSE:VRX) has put a lot of pressure on its returns in the last couple of months. The stock has lost over 60% since the beginning of July as investors started questioning some of the company’s practices on the back of concerns related to drug-pricing and distribution policies. Pershing owns 19.47 million shares of Valeant Pharmaceuticals Intl Inc (NYSE:VRX) worth $3.47 billion as of the end of the third quarter. The number of shares remained unchanged, but their aggregate value slid from $4.33 billion reported as of the end of June. Jeff Ubben’s ValueAct also owns a substantial stake in Valeant Pharmaceuticals Intl Inc (NYSE:VRX), which contains 14.99 million shares as of September 30. In Air Products & Chemicals, Inc. (NYSE:APD), Ackman also left his position unchanged at 20.55 million shares, worth $2.62 billion. Holding almost 10% of the company, Pershing Square is the largest shareholder of Air Products & Chemicals. In September, Air Products announced plans to spin-off its materials technologies business into a separate publicly-traded company. Ackman had previously tried to pursue the company to separate some of its businesses. Air Products & Chemicals, Inc. (NYSE:APD)’s stock has inched up by 2% so far this year, but it is over 70% in the green over the last three years. Another investor bullish on Air Products & Chemicals, Inc. (NYSE:APD) is Andreas Halvorsen‘s Viking Global, which owns 5.92 million shares according to its third quarter 13F filing. As mentioned, Canadian Pacific Railway Limited (USA) (NYSE:CP)‘s stock has also affected Pershing’s returns, dropping by more than 28% so far this year amid a decline in demand for railway transportation on the back of weak oil and commodity prices. Canadian Pacific is another one of Ackman’s long-term bets. Back in May 2012, the investor won a proxy vote and managed to reshuffle the company’s portfolio. Since then, the stock has surged by more than 80%. At a forward P/E of 15.6, Canadian Pacific Railway Limited (USA) (NYSE:CP)’s stock is in line with the S&P 500, but analysts see more potential for the stock, as they currently have a consensus price target of $208.60 per share on it. Daniel S. Och‘s OZ Management is another shareholder of Canadian Pacific Railway Limited (USA) (NYSE:CP), holding 3.80 million shares. On the next page, we are going to take a look at Mondelez International Inc (NASDAQ:MDLZ), which represents Ackman’s latest new pick, as well as vet drug company Zoetis Inc (NYSE:ZTS).